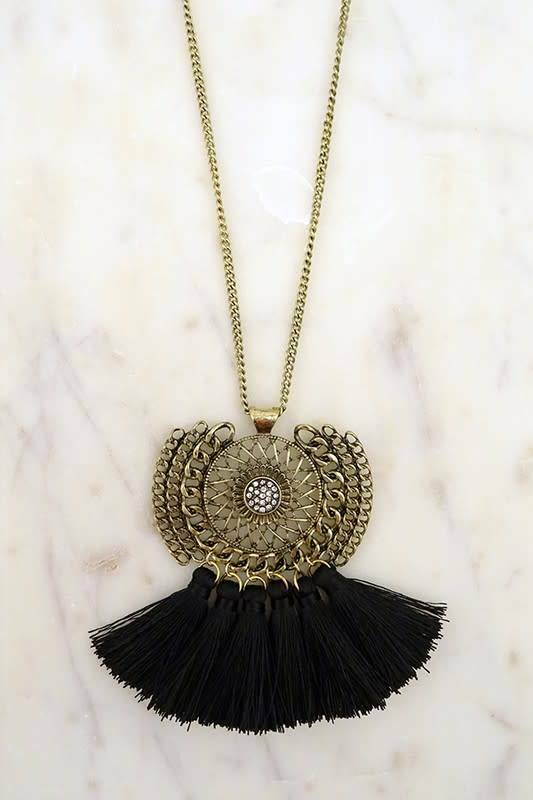 Amulet style necklace with a rhinestone circle center. 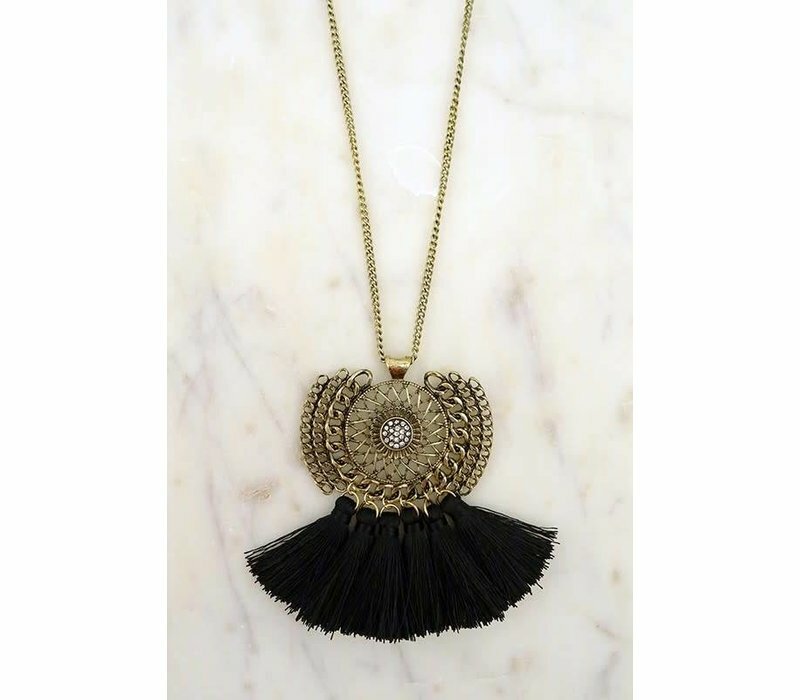 Black tassels. Also available in Peach & Mustard.